A report, terming China’s energy structure as unreasonable, was submitted to the Standing Committee of the National People's Congress, Chinese official press agency Xinhua reported on Wednesday. 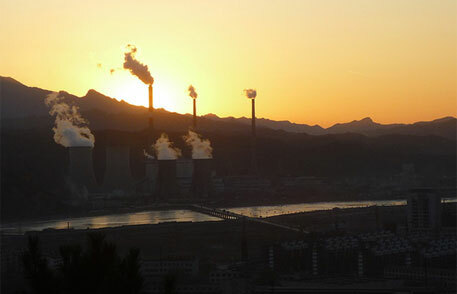 Highlighting the country’s coal consumption, the report said it was “causing serious pollution during north China's heating period each winter". The report also pulled up local governments for their incompetent supervision. Air pollution remained largely neglected. While 73 per cent of all cases received by China’s Ministry of Environmental Protection were related to air pollution, it figured in only 12 per cent of all cases tackled. The report also criticised companies which conceal or falsify monitored data in order to evade penal action. It said these companies prefer to pay fines as they “are lower than the cost of pollution treatment”. The report proposes strict action against law violation and promotes developing clean energy and using public transport. Smog-filled images of Beijing are a stark reminder of the extent of air pollution in the country. China is also the largest emitter of greenhouse gases in the world, according to the Global Carbon Budget 2014.